Great news for all FC2 Blog Users who want to reach out to people on the go! FC2 Blog is pleased to announce the release of an Official Responsive Blog Template! What is a Responsive Blog Template? A responsive Blog Template is a template that drastically changes layout based on the screen size of the viewer looking at it. This means that with a single design template, you can serve your Blog professionally and cleanly to people on large PC monitors and on small tablet screens. The first FC2 Blog Official Responsive Template is called "simple_white_resp", and will appear differently based on the visitor's screen. Please note, "simple_white_resp" is a PC Template. If you have the Smartphone Version of your Blog enabled, then visitors will see your Smartphone Template, instead of this responsive "simple_white_resp", when they view your site on a Smartphone device. To make sure that visitors only see this Responsive Blog Template, you will need to disable the Smartphone Version of your Blog from your Blog Settings Page. You can learn more about changing your Smartphone Display Settings here! Or if you are already logged into your FC2 Blog, click this link to go there directly. How Do I Download and Use This Responsive Blog Template? 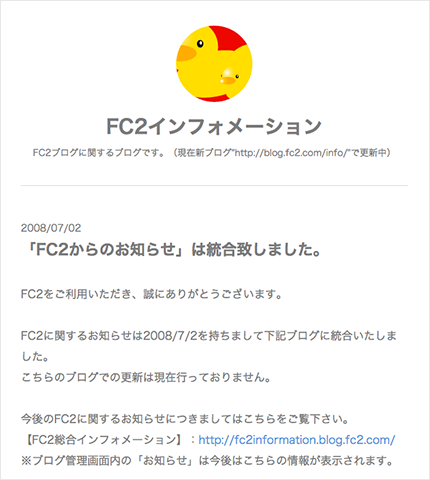 Login to your FC2 Blog Account. Click "Templates" from the left-hand side-menu. 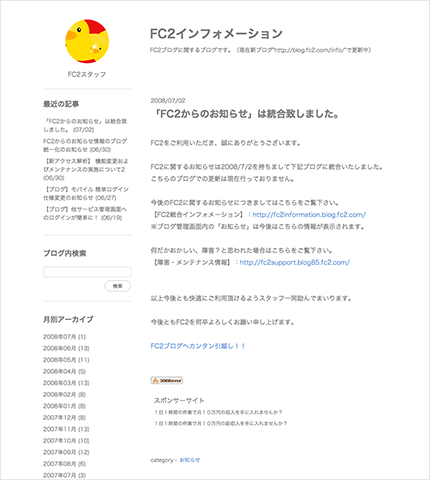 Click "Download FC2 Template" from the "For PC" area. Find the "simple_white_resp" template and click the "Download" button. Confirm you have clicked the correct template and click "Download" again to add it to your list of usable templates. Click "Manage Templates" from the "For PC" area. A list of available PC Blog Template should appear. Select the radio button to the left of the "simple_white_resp" template and then click "apply"
In order to turn disable your separate Smartphone Template, so that "simple_white_resp" is applied to all visitors, click "Settings"
Next select "Smartphone Settings" from the "Blog Settings" dropdown menu. Finally, select "Disable Smartphone Version" and click "Update"
Instagram Integration Now Available in Multiple Languages! HOME Smartphone Display Settings Have Been Released!